Rosvang Gaard is an intimate farm hotel, lying by the shores of the Rødven Fjord with stunning views over the surrounding scenery, midway between Molde and Åndalsnes. We offer a very personal service with individual programs suited to your requirements. Rosvang Gaard is the ideal hotel for sporty adults who enjoy excellent food and comfortable and well-appointed rooms. Here you can enjoy peace and quiet surrounded by magnificent scenery or a more active and challenging stay. Rosvang Gaard is a working farm with sheep roaming freely, grazing in the beautiful surrounds. The Rauma Railway terminus is in Åndalsnes, about 27 km from the farm. The Rauma Railway line was voted as Europe´s most scenic train ride in 2013. 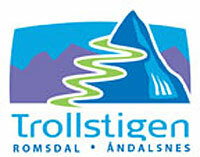 Molde is about 27 km from us, including a short ferry crossing of 10 – 15 minutes. The airport at Årø is close to Molde. Transport can be arranged to and from the rail terminus or the airport and also during your stay with us. We have 10 rooms – 2 singles and 8 doubles – all with adjoining bathrooms and extremely comfortable and adjustable beds.